Designed to work in all weathers and on all types of terrain with the utmost safety, comfort and productivity. 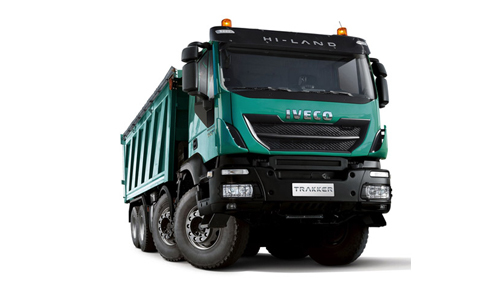 The Trakker Hi Land is Iveco’s heavy truck product for customers looking to operate a dedicated on/off-road range of vehicles that are built to meet the industry’s highest environmental and operational exceptions. The Iveco Trakker comes in two engine sizes with 5 horsepower variants, all available with Iveco’s unique SCR only technology. 4 Drivetrain options and class leading payload offerings. In order to achieve the tough Euro VI emission levels, Iveco have opted for a simpler solution than most of its competitor the Iveco HI-eSCR. This solution uses Adblue but does not combine this with the more complicated EGR system. The Trakker range benefits from the use of the Iveco “Cursor” engines. These are available at 9 litres with horsepower options from 330hp to 360hp and the more powerful 13 litres with horsepower options from 410hp to 500hp. 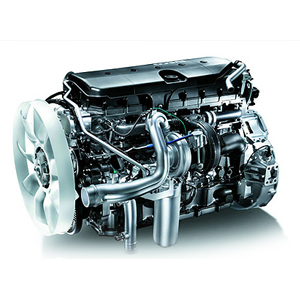 With the nature of this work being high torque low speed the Iveco SCR only engines are more important than ever. 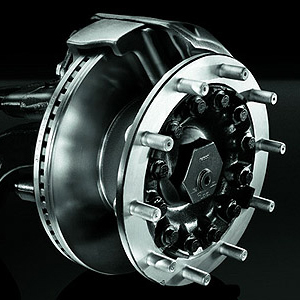 As standard, the Trakker comes with the ZF 12 speed automated gearbox. 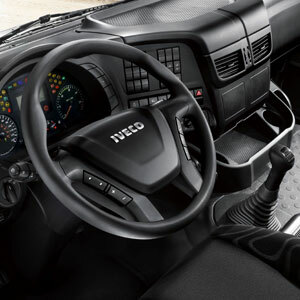 This still allows for manual gear changes to take place by using the gear selector on the right hand stalk to give the driver the precise driveability required in difficult conditions. We still offer a 16 speed “H” pattern manual gearbox as an option. The Trakker range encompasses the very latest in safety technology where required, but equally as an off-road work horse can deactivate those functions in certain conditions to ensure they do not detract from the vehicles performance in arduous conditions. The Trakker is available in both a day cab and sleeper cab. 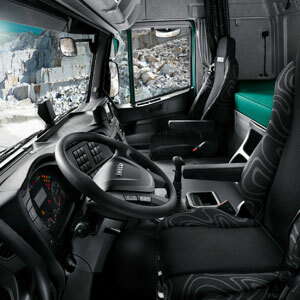 The levels of cab comfort have been increased to give the driver all the options he would need from air suspended seats to integrated satellite navigation for those long hours behind the wheel.